Between the high-end games and the marvelous productivity software the iTunes App Store has to offer, it’s easy to forget that there are plenty of apps for the kids as well. The touch screen interface makes the iPad an ideal device for youngsters who haven’t developed the dexterity and coordination required for complex button configurations. And if you’re a parent looking to encourage your children to read, there really is no topping the experiences found on the App Store. PopOut! The Tale of Peter Rabbit from Loud Crow Interactive is one of the best examples of the great interactive entertainment for children found on the App Store. 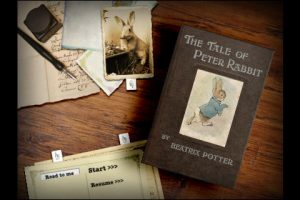 Containing all the best elements of read-along and pop-up books, this classic Beatrix Potter story has never been more entertaining. 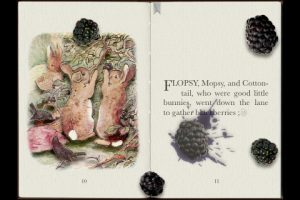 PopOut does a great job of luring kids into the story by making the reading experience engaging and interactive. While the Tale of Peter Rabbit is entertaining on its own, there’s so much more to this app than simply the story. Presented in landscape format, each page turn is presented with text on one side and an interactive image on the other. Some images have such simple effects as falling leaves, while others allow children to touch the animals, causing a reaction like squeaks or chirps. At the outset, you can choose to read the story yourself, or have it read to you by a narrator. When choosing the narrator, the words are highlighted as read. Additionally, if your child chooses to read by his or herself, they can touch any troublesome words to have them read aloud. Adding to the experience is a lovely and relaxing soundtrack, making PopOut! The Tale of Peter Rabbit a perfect choice for bedtime reading. I’ll end with a personal anecdote. When I purchased my iPad back at launch, I told my skeptical wife that while I was indeed buying it for myself, I suspected that we would get plenty of use out of it as a family. Over the past several months, I’ve been more than justified as my young son uses the device for not just entertainment, but education as well. PopOut! 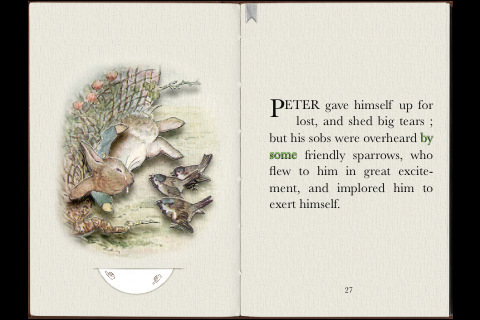 The Tale of Peter Rabbit has quickly become his favorite app on the iPad, with him following along by himself over and over again throughout the day. That alone is endorsement enough for me. Bottom Line: One of the best kid-friendly apps on the App Store, PopOut! The Tale of Peter Rabbit is the perfect choice for new readers. PopOut! 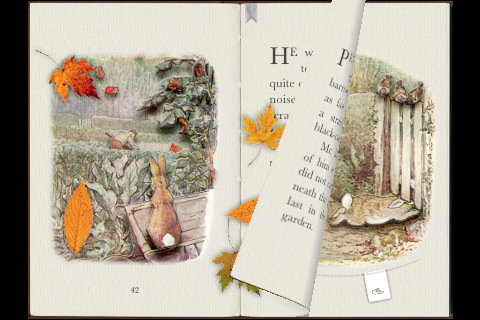 The Tale of Peter Rabbit is compatible with iPhone, iPod touch, and iPad. Requires iOS 3.2 or later.